Deter thieves from removing your sensor tags! 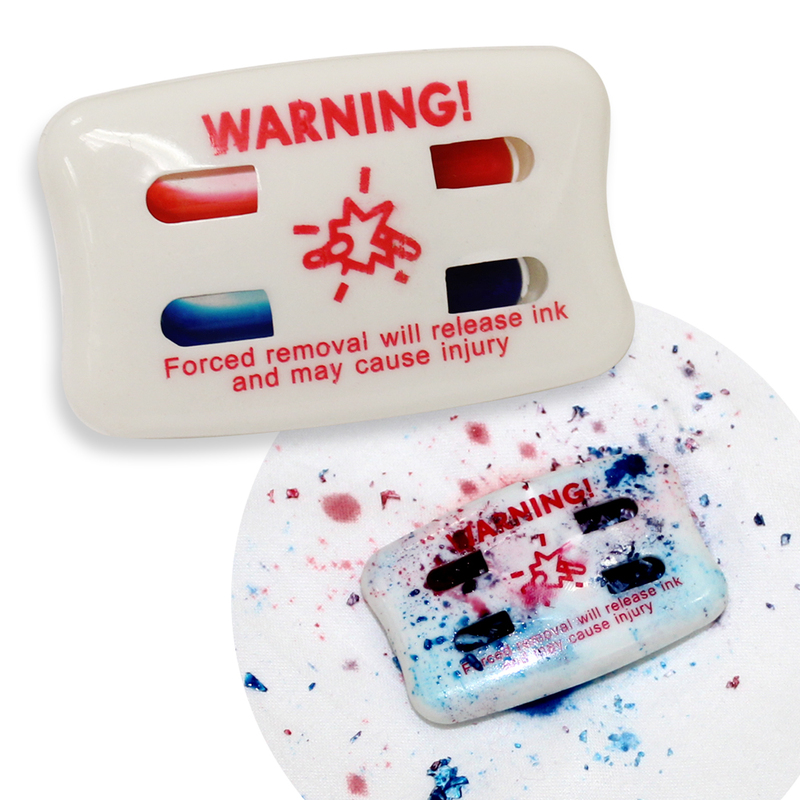 When a shoplifter attempts to disconnect a Universal Ink Tag from its locking device, the ink vials will erupt, spilling ink onto the garment and permanently staining it. Ink vials are red and yellow. Use detacher to easily remove tags at the register. Detacher sold seperataly, search item 8366. One clutch lock, item 8360 needed to secure each dye tag, sold separately.